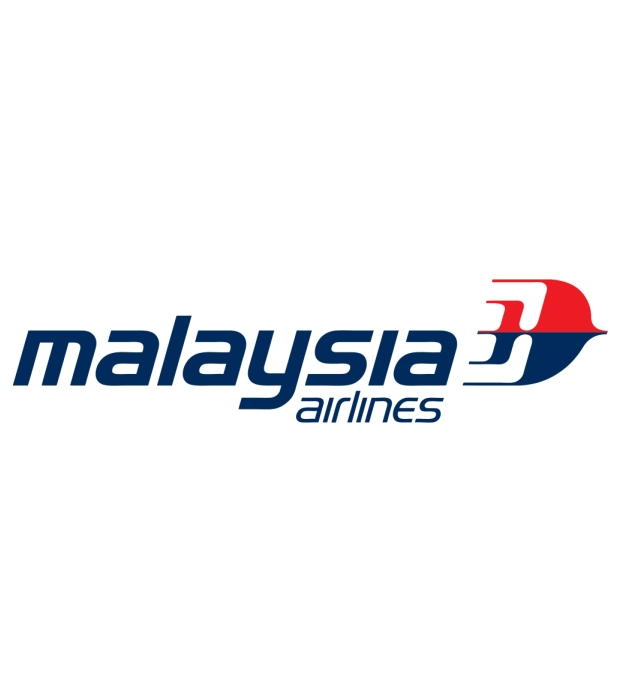 Malaysia Airlines or Penerbangan Malaysia is a major airline and is based primarily out of Kuala Lumpur International Airport in Kuala Lumpur, Malaysia. It uses Kota Kinabalu International Airport and Kuching International Airport as secondary hubs in Malaysia. The airline is a member of the Oneworld airline alliance that includes British Airways and American Airlines among others. It is the flag carrier of Malaysia and owns two subsidiary airlines- Firefly and MASwings- as well as a freight carrier MASkargo. MASChater is another subsidiary which operates charter flights and uses Malaysia Airlines' aircraft. Malaysian Airlines also has a division that manages maintenance, repair and overhaul of airlines for other companies. Malaysia Airlines started life as Malayan Airways Limited (MAL) in 1937 but would not start flying passengers until 1947. Meanwhile, the first passenger and air mail services in the region were started by Wearne's Air Service (WAS) which was operated by two Australian brothers, Theodore and Charles Wearnes. They started flying passengers and mail between Singapore, Kuala Lumpur and Penang. The flights started as three weekly flights between Singapore and Penang with the first flight on 28 June 1937 in a de Havilland DH89A Dragon Rapide that could hold 8 people. They operated out of Kallang Airport in Singapore which itself had just opened earlier that month. A second plane was added to expand services along with a new route to Ipoh. WAS was shut down as Japanese forces occupied Singapore and Malaysia during World War II. In 1937, Malaysia Airlines started as Malayan Airlines by Alfred Holt of Liverpool's Ocean Steamship Company in a partnership with the Straits Steamship Company and Imperial Airways. They started flying passengers after the war, in 1947 after the partnership was restructured to only the Ocean Steamship Company and Straits Steamship. The first flight was flown in an Airspeed Consul twin engine aircraft from Singapore to Kuala Lumpur in 2 April 1947. There were weekly schedules flight using the same aircraft. With the technical assistance of other British Commonwealth airlines like BOAC and Qantas, the company started to expand and by 1955 added many other aircraft, before going public in 1957. It has steadily grown since then, starting long haul flights in 1960, flying nonstop to Hong Kong. In 1963, the name was changed to Malaysian Airways after Singapore joined the Federation of Malaysia. Once Singapore became independent in 1966, the airline was known as Malaysia-Singapore Airlines and massive expansion was carried out with addition of new aircrafts including the first Boeings for the airline. In 1972, after difference in the priorities of shareholders, Malaysia-Singapore Airlines split into two airlines- Malaysian Airline System and Singapore Airlines. Malaysia Airlines is a publicly traded company listed in the Bursa Malaysia stock exchange under the name Malaysian Airline System Berhad. The airline was headquartered in downtown Kuala Lumpur until it faced heavy debts and their new Business Turnaround plan called for selling the asset in 2006. It is now headquartered at the MAS Complex in Sultan Abdul Aziz Shah Airport in Subang, Selangor. Penerbangan Malaysia Berhad, a subsidiary of the Malysian Government's investment and holding company Khazanah Nasional owns the majority stake in Malaysia Airlines with 52% of the shares. Khazana Nasional owns an additional 17.33%. Other shareholders include Employees Provident Fund Board (10.72%), Amanah Raya Nominees (Tempatan) Sdn Bhd (5.69%), State Financial Secretary Sarawak (2.71%), foreign shareholders (5.13%)and Warisan Harta Sabah (2.4%). The company has 19,546 employees and the group CEO is Jauhari Yahya. It had a revenue of 56.68 MYR in 2012 with a net income of -8.2 billion MYR. The Airline has several subsidiaries including Malaysia AIrlines Cargo, MASwings, Firefly, MAS Aerotechnologies, MAS Golden Holidays, Malaysian Aerospace Engineering, MAS Academy, Abacus Distribution Systems, MAS Awana Services. It also owns stakes in many associate companies including GE Engine Services Malaysia, Taj Madras Flight Kitchen and Brahim's Airline Catering. Malaysia Airlines used to fly 118 domestic routes and 114 international routes in six continents before the corporate restructuring. Now, it flies to 60 destinations in Southeast Asia, North and South Asia, the Middle East, Australasia and Europe. It operates primarily out of Kuala Lumpur. Malaysia Airlines flies many routes in Southeast Asia with MASwings and Firefly. They fly to most destinations on Borneo Island. They also fly part of the Kangaroo Route to Australia and they provide other airlines with connecting flights from European airports through Kuala Lumpur International Airport. Malaysia Airlines also provides chartered flights to many of the destinations to where regular routes have been axed. This includes flights to Christmas Island and Guilin. Additionally, Malaysia Airlines has codeshare agreements with 32 airlines from around the world including American Airlines, Cathay Pacific and Singapore Airlines. Malaysia Airlines operates a fleet of a total of 94 aircrafts whose average age is 4.3 years. Their flagship carrier is the Airbus A380 which can seat a total of 494 passengers. They have 6 of these in service in addition to 15 AIrbus A330, 55 Boeing 737 and 13 Boeing 777. It also has 4 Airbus A330 and 2 Boeing 747 which is uses as part of its' cargo fleet. They lease 15 of their Boeing 737 aircraft and have either put it orders for or have an option to use 25 additional Boeing 737. Their aircrafts are in two cabin and three class configurations. All aircrafts except the Airbus A380 are in a two cabin configuration that includes Economy Class and Golden Club Class. The A380 has a three cabin configuration with an added First Class option. Malaysia Airlines also operates airport lounges for its First Class, Golden Club Class passengers and Enrich Platinum and Enrich Gold members. They have lounges at the airports in Kuala Lumpur, Kota Kinabalu, Kuching, London, Melbourne, Penang, Perth and Singapore. They offer inflight entertainment in the form of the Select system which includes portable media players and mainscreens in the aircraft. In addition to the OneWorld alliance, their own frequent flier program is called Enrich by Malaysia Airlines of which there are four levels of membership.